The RevereSport Hydration Belt is slim, lightweight and will help keep you hydrated when you train. 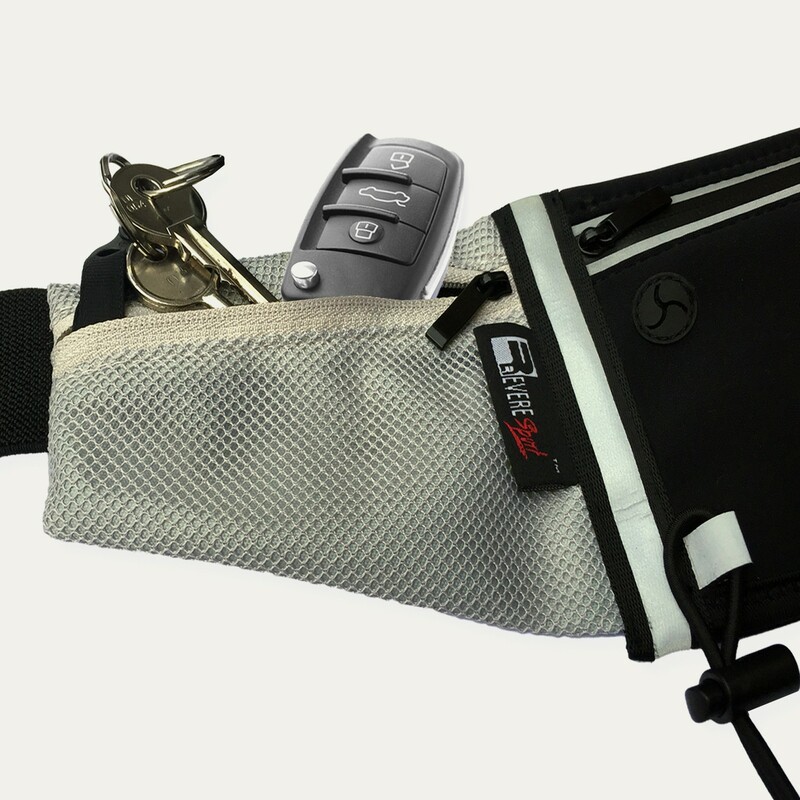 Hold your phone, keys, cash and water bottle secure with no bounce and no distractions. 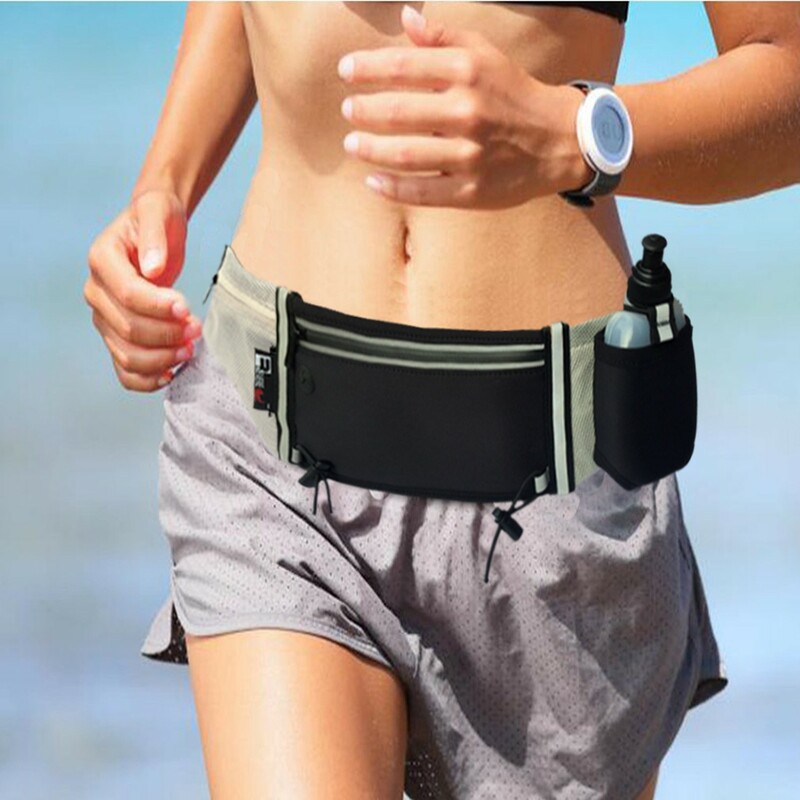 The stretchy waist strap fits small – large waist sizes and will not come loose or fall during exercise. 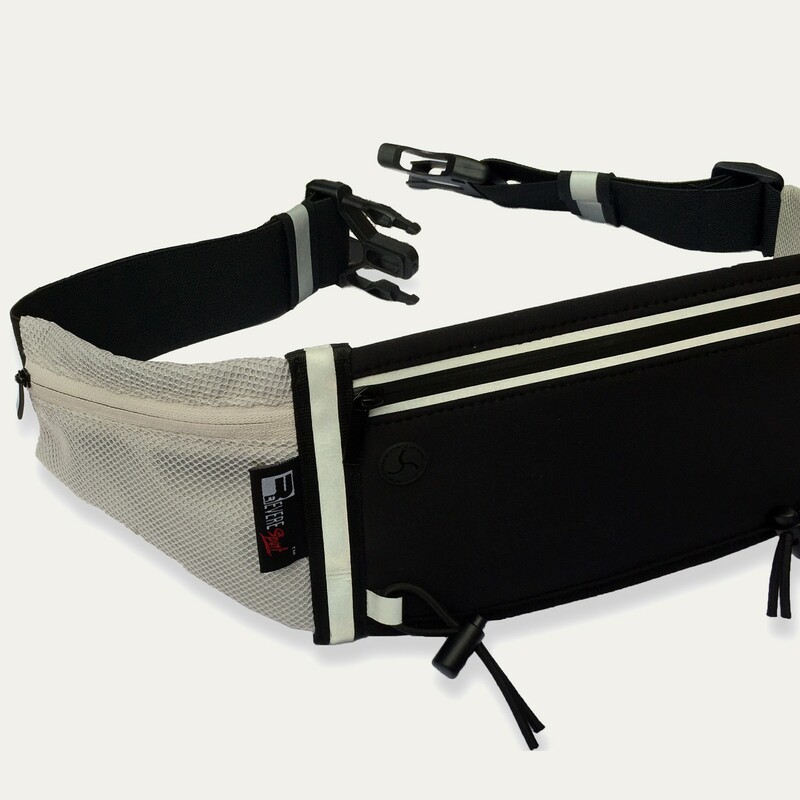 The hydration running belt is designed for an active outdoor lifestyle. 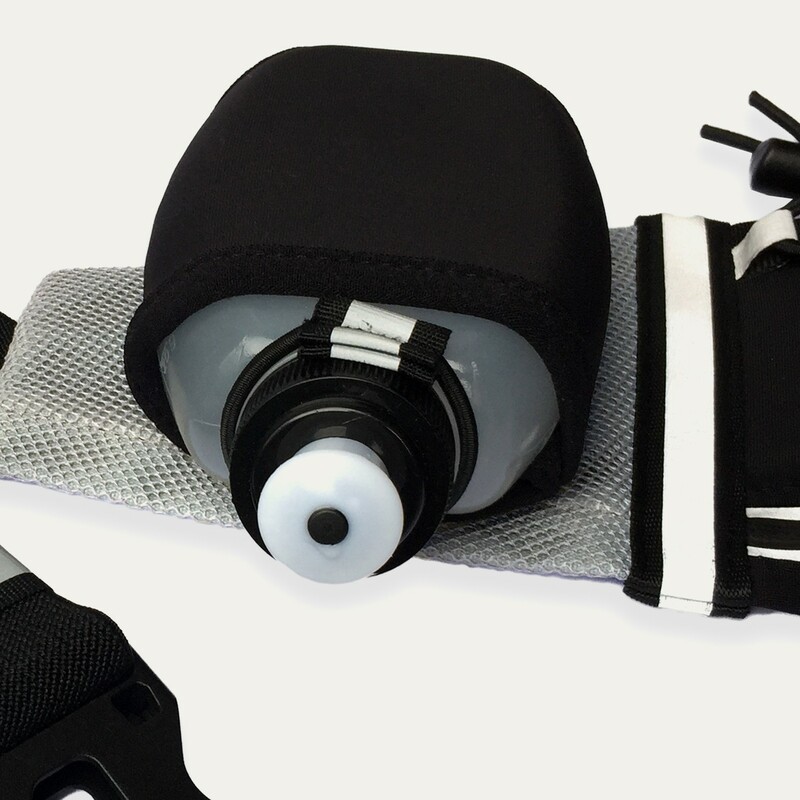 The hydration belt will help keep you hydrated during exercise. The 70ml water bottle (Included) holds secure and does not bounce so you stay focused with no distractions. 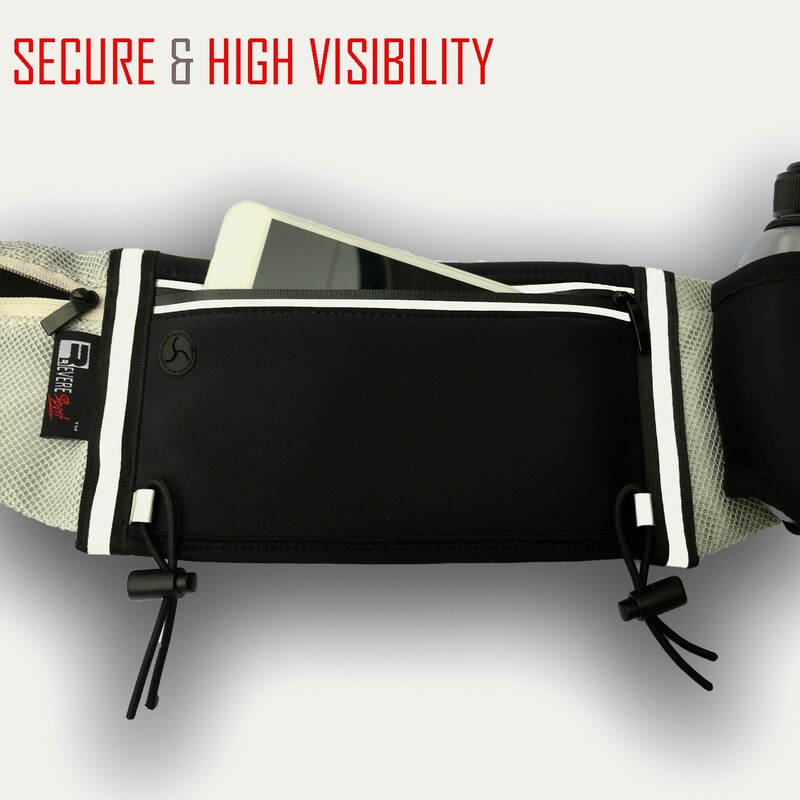 The three specially designed pockets distribute your belongings around your waist giving the belt a lightweight feel that will not weight you down. The easy access earphone hole is perfect for listening to your music and the reflective strips will help make you visible when running at night. This really is the all-purpose running belt perfect for beginners or professionals. Back at RevereSport we don’t like to be distracted when we train. We know our customer don’t like this either so that is why we added a secure layer behind the water bottle. The water bottle holds secure and does not bounce when full, so you will not be distracted from reaching your fitness goals. 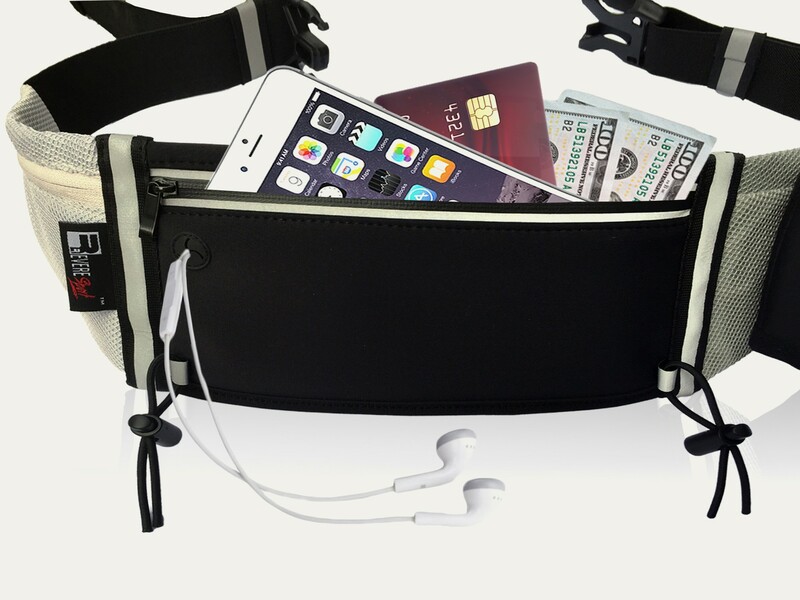 With a RevereSport hydration belt you can discover a new running trail, jog around a moonlit lake and exercise happy knowing your belongings are held safe and secure. TRAVEL FITNESS TIP: It is easy to forget your diet when you are on the road. Try having a healthy meal in your mind before you get into a restaurant rather than let the menu seduce you into something unhealthy. All of our products are ‘Inspired by world adventures’. This is the 15th product, inspired whilst traveling around and living in the UK. We had travelled 20 countries over 2 years and it was now time to go back to the UK and spend some time with our family. Surprisingly the sun was shining when we returned so we were soon back out in the parks running and keeping fit. When we had been exercising around the world it was always a pain carrying a water bottle in your hand and it was no different back in the UK. It was time to design a belt that would carry your water securely so you can concentrate on your workout. We discovered there are many different hydration belts already on the market but they all have a compromise. Sometimes you must take your case off, or leave your large car key behind or they are bulky and they bounce. Our priority was to design a slim belt you could wear anytime and not have to leave anything behind. The key to success was to design 3 pockets so your belongings are distributed around your waist. Your phone, keys and water bottle are now held separately with no bulk, no bounce, and no distractions when you train. 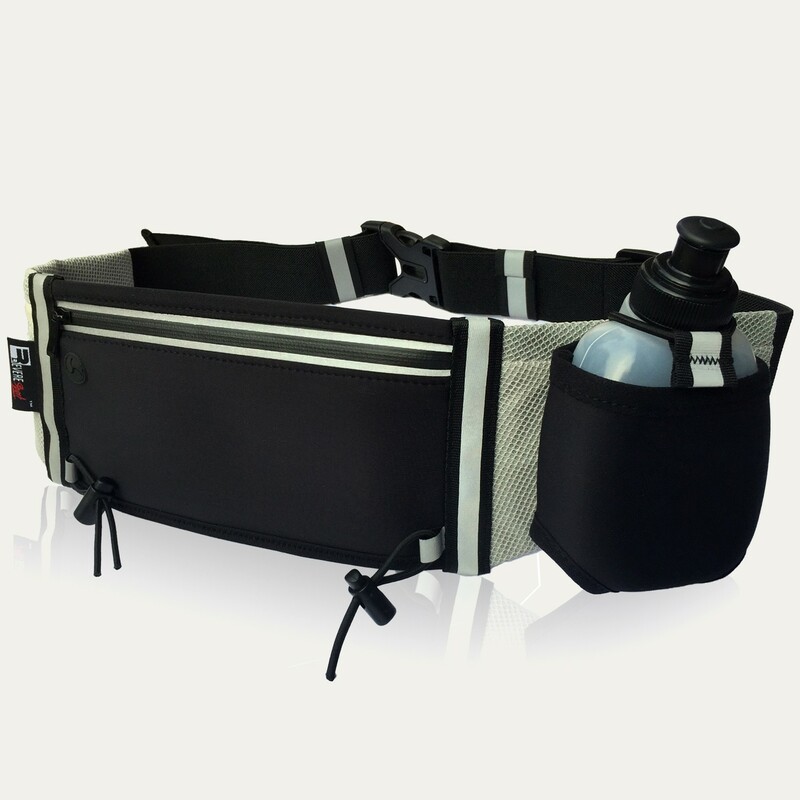 Our hope is that you will enjoy this Hydration Belt as much as we enjoyed the adventure of making it. Excellent running belt! Lots of compartments to carry your valuables without being bulky. Feels comfortable while running. Recommend! I run on a regular basis and I'm forever holding something in my hand - either my phone, keys or water bottle but not anymore! 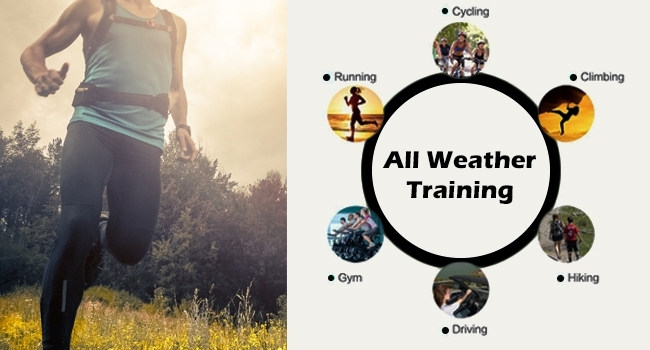 This running belt has everything you need! A water bottle is included and there is a separate pocket to hold a bunch of car keys and a large front pocket which fits my iPhone 7 Plus with the case on! There is even toggles which will hold your bib number if you are competing in a race. The best part is that the quality is top notch! Soft and comfortable material which doesn't bounce when I run. Fantastic!